The new mural depicting the main characters from 'Derry Girls' that is - it can be seen on the side wall of Derry city centre bar, Badger's. 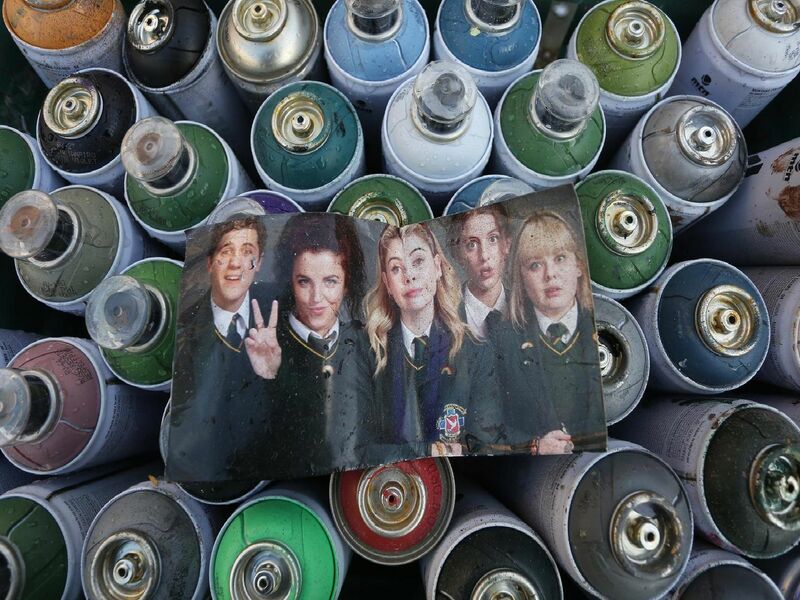 One of the Derry Girls graffiti artists with the photograph that would be used to create a giant mural depicting the main characters from the series. Real life Derry girls and St. Mary's College pupils, Cayla O'Kane and Amelie McDermott, give the mural the thumbs up. The unfinished mural caught the eye of many shoppers in Derry city centre. Some locals stopped by for a chat and to look at the how the mural was coming along.